What sort of ethics do we need? Rosalyn Diprose argues that the usual approaches to ethics both perpetuate and remain blind to the mechanisms of the subordination of women. 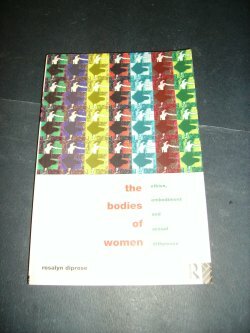 In Bodies of Women: Ethics, Embodiment and Sexual Differences, she claims that injustice against women is found in the social discourses and practices which both evaluate and constitute their modes of embodiment as improper in relation to men. Diprose critically analyses the attempts in both feminist and non-feminist ethics to recognise the role of sexual difference and the biomedical discourses whose descriptions mask a constitution and regulation of the 'body'. Her critiques draw on insights from Anglophone feminist theory and continental philosophy, and are supported by critical readings of Irigaray, Cornell and Fraser, Hegel, Nietzsche, Merleau-Ponty, Derrida and Foucault. What emerges is a new ethics of sexual difference which not only better locates the mechanisms of discrimination but also provides the means to subvert them. 148pp. N.B. Previous owners inscription to ffep. Corners slightly bumped.